Afraid that the mineral wool will get damp and will lose its insulation properties and ordinary styrofoam will keep the moisture in the wall? Here’s the perfect solution for you - our proprietary and patented insulation panels with the wall drying system. Here's the perfect solution for you! Fast, warm and no thermal bridges! Your house requires thermal upgrading? Planning to finish the facade with clinker? You want the works to be performed fast and the effect to be perfect? Know more about our panels which facilitate installation of clinker tiles. 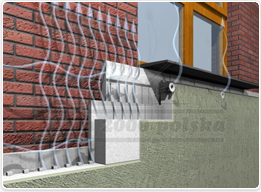 Fast, warm and no thermal bridges! 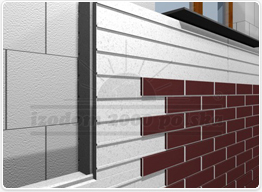 The Izodom products are widely used in modern passive houses. Are you a construction contractor or an architect? Would you like to cooperate with us?